According to E. M. Forster, main characters are multidimensional. They surprise us, they are complex, and they are difficult to describe succinctly. They are defined by who they are. The iceberg theory is a style of writing coined by American writer Ernest Hemingway. “The dignity of the movement of an iceberg is due to only one-eighth of it being above the water”. Same is true for characters and their stories. What is obvious to the reader implies a much larger truth and depth. That is why the majority of your character profile will never appear in your story, but you know your characters intimately. As one workshop instructor explained, the writer should know what is in the main character’s closet. What does your character want, and what obstacles can you throw in their way to prevent them from achieving that goal? Grey’s Anatomy has me captivated again. Since first premiering on ABC in 2005, I’ve got thirteen yeas of writing experience and I’m watching the show in a whole new frame of mind. A writer’s mind. And thanks to Netflix or Hulu, I don’t have to be patient for another season to begin. Binge watching is extremely inspiring for a creative soul. The characterization in this medical drama television series is brilliant and addictive. This show is the perfect example of developing depth in fictional characters. One of the ways you can make your characters leap off the page is to give them secrets. Real people have secrets. We have things buried deep within us that we’ll never tell. What we say out loud is not always reflective of what we may be hiding inside. You’ve probably heard the story craft tool of throwing everything at your character. Conflict keeps the plot moving and holds the readers’ interest. As authors, we are all border line sadistic when it comes to the things we put our characters through. Meredith Grey: central protagonist, is hiding her mother’s illness, who was a brilliant surgeon herself, and is sleeping with her boss while trying to succeed under her mother’s shadow. Izzie: feels unworthy of her smarts and success because she grew up very poor in a trailer park. Christina: sleeping with her boss and she has an almost unhealthy obsession with cutting people open. Dr. Burke: begins a romantic relationship with an intern. George: is secretly in love with Meredith and is extremely smart, and not the goof-ball that the world sometimes sees. Alex: cares deeply about his career and relates to patients on a deeper level, as opposed to the A-hole, shallow attitude he sometimes displays. Dr. Webber: Surgery chief hides a medical issue with his eyes and had an affair with Meredith’s mom when they were in medical school. Dr. Shepherd is married and does not tell his girlfriend Meredith, who is an intern. That barely scratches the surface as the show develops, but you get the idea. The fun part is that we know their secrets as an audience, and we can’t help but watch to see if, and when, they will reveal all to each other. It’s very entertaining and can be applied to the characters in your books. In season 2, Izzie prepares a Thanksgiving meal for everybody. She explains to Dr. Burk that she wants just one day where they can be normal and act like everybody else. Dr. Burke mumbles, “A day without surgery.” That one line says so much about him as a character and about the entire theme of the show. You have to watch carefully and pay attention to those one-liners. When I first watched the show every week thirteen years ago, I was caught up in the medical issues of the patients. Now I’m focusing my attention entirely on the characters. As an added bonus, Shonda Rhimes explains her writing process and development of the series at MasterClass.com. 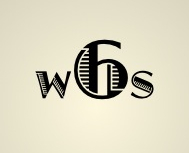 Happy writing, and thanks for following WordSmith Six! I believe certain aspects of a work should be researched. Historical facts need to be checked, and laws, procedures, and medical information must be accurate. However, too much technical jargon can slow the story and frustrate the reader. Barry Eisler writes some of the best thrillers. He uses a perfect marriage of a fast action story, memorable characters and spy-speak. He relies on good story telling instead of clocking the action in technicalities. There are other very popular writers who overwhelm me with their expert knowledge. It’s not just technical over-thinking that can hinder a project. Back story and excessive description are also enemies of good story telling. The reader does not need nor does he want to know the whole story up front. And who wants to wade through three pages describing the sunrise or fly fishing in a mountain stream. The old KISS philosophy works well when planning a story. Keep It Simple, Stupid. (Stupid references the writer, not the reader.) By adhering to good plot, dynamic characters, and proper setting, the story can be told well. Those fascinating details will season and spice the work when they are properly and sparingly sprinkled into the mix. Do you ever wonder why certain books, plays and poetry are still taught in school? I have a theory. The classics were written by men and women who perfected their craft. They didn’t rest on laurels; instead they invested time in making the next work better. Students groan when they open Julius Caesar but the story is still worth telling. The characters have the same concerns as men and women today. We have issues with government and power grabbing. Mark Twain revealed a dark time in American history. TOM SAWYER AND HUCKLEBERRY FINN did not necessarily defend slavery. The stories revealed a truth that can bring about change. Tom and Huck are so right as boys in the late 1800’s. I’ve met a few shysters who could pull off the whitewashing of the fence with a wink and a smile. JANE EYRE depicts the times when men ruled and women held a second class status. But it also shows the growth of a young woman beyond the customary role to become a strong and faithful lady of means. Then there are new classics. I truly believe the Harry Potters series will stand the test of time. After all daring deeds and heroic action will always be popular. And like the previously noted volumes, the Potter books will be part of my library. As will Rick Riordan’s Percy Jackson series, Craig Johnson’s LONGMIRE stories, and Sherrilyn Kenyon’s Dark Hunters. These authors and others like them found the formula for success. They developed memorable characters, had good stories and plots. They employed the basis of grammar, spelling, and punctuation. Above all, they wrote for the reader and not just for themselves. What books are in your library? Is there a mixture of old and new? Are the covers pristine or worn? Are there some volumes that are dog-eared and faded from handling? I do hope your library is just like mine. I hope you have a mixture of everything and you read and reread your old favorites and acquire new favorites. After all, good writing never goes out of style.